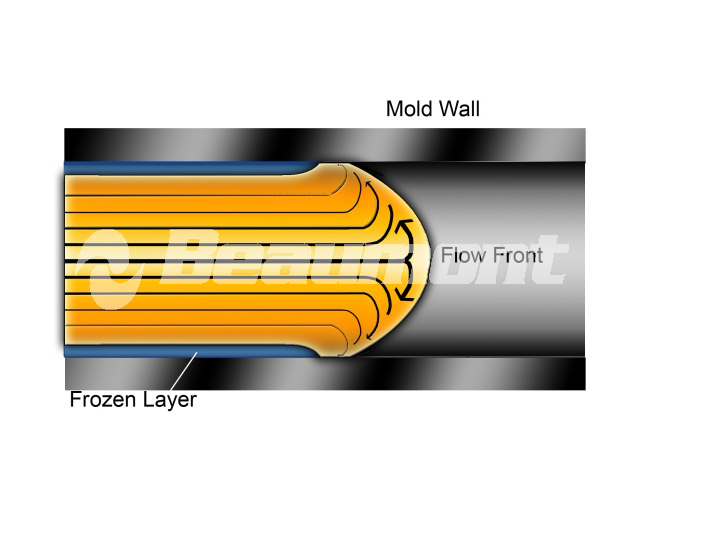 Fountain Flow - Beaumont Technologies, Inc.
Fountain flow occurs when the material at the flow front is pushed forward and “fountains” to the channel wall. The plastic in the flow channel’s center is flowing faster than the material along its perimeter. The flow in a runner is considered to be laminar and flow along the channel wall is considered to be zero. The material at the flow front is pushed forward and “fountains” to the channel wall. The result is that during mold filling, the first material injected into an empty melt flow channel fountains to the channel walls. As additional material is added, this newer material advances to the flow front and continually fountains to the wall.